See Dealer for details! Price good on this unit only! Specials price is with all Factory Cash incentives and is NOT available with any special financing offers. College Grad & Military Rebates Not Included. Limited time offer. Our new vehicles sell very quickly, so call (888) 458-1293, email, or click to chat from our dealership website's homepage to get more information on this 2019 Toyota Sienna Limited Premium AWD or to set up an appointment for your test drive. When you set an appointment, you work with our BEST Product Specialists, you get our lowest price on the lot, and can even have this vehicle pulled up and waiting on you! See Dealer for details! Price good on this unit only! Specials price is with all Factory Cash incentives and is NOT available with any special financing offers. College Grad & Military Rebates Not Included. Limited time offer. Our new vehicles sell very quickly, so call (888) 458-1293, email, or click to chat from our dealership website's homepage to get more information on this 2019 Toyota Sienna XLE or to set up an appointment for your test drive. When you set an appointment, you work with our BEST Product Specialists, you get our lowest price on the lot, and can even have this vehicle pulled up and waiting on you! See Dealer for details! Price good on this unit only! Specials price is with all Factory Cash incentives and is NOT available with any special financing offers. College Grad & Military Rebates Not Included. Limited time offer. Our new vehicles sell very quickly, so call (888) 458-1293, email, or click to chat from our dealership website's homepage to get more information on this 2019 Toyota Sienna XLE Premium or to set up an appointment for your test drive. When you set an appointment, you work with our BEST Product Specialists, you get our lowest price on the lot, and can even have this vehicle pulled up and waiting on you! See Dealer for details! Price good on this unit only! Specials price is with all Factory Cash incentives and is NOT available with any special financing offers. College Grad & Military Rebates Not Included. Limited time offer. Our new vehicles sell very quickly, so call (888) 458-1293, email, or click to chat from our dealership website's homepage to get more information on this 2019 Toyota Sienna Limited or to set up an appointment for your test drive. When you set an appointment, you work with our BEST Product Specialists, you get our lowest price on the lot, and can even have this vehicle pulled up and waiting on you! Predawn Gray Mica 2018 Toyota Sienna Limited Premium 7 Passenger AWD 8-Speed Automatic 3.5L V6 SMPI DOHC Entertainment system, Entune 3.0 Connect Services, Exterior Parking Camera Rear, Heated Front Bucket Seats, Navigation System, Power driver seat, Power Liftgate, Power moonroof, Power windows, Radio: Entune 3.0 Premium JBL Audio, Remote keyless entry. 0.0/1.9/1.9/2.9 annual percentage rate financing on new 2019 Sienna with respective terms of 36/48/60/72 months. 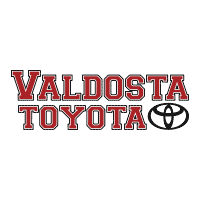 This offer applies to well-qualified buyers and requires approved credit and financing through Southeast Toyota Finance. Not all buyers will qualify for these rates. Payments may be deferred for the first 90 days; interest accrues from inception. Monthly payment for every $1,000 financed is 0.0% – 36 months = $27.78; 1.9% – 48 months = $21.72; 1.9% – 60 months = $17.54; 2.9% – 72 months = $15.22. No down payment required. Excludes tax, tag, registration, title and dealer fees of $599. May not be combined with certain other offers. Must complete retail sale and take delivery between 04/02/19 and 04/30/19. For well-qualified lessees with approved credit through Southeast Toyota Finance. Not all lessees will qualify for this payment amount. Closed-end lease on new 2019 Sienna LE model # 5338 with automatic transmission and select equipment. Adding options increases payment. $379.00 per month for 36 months. $3,678 due at signing includes $3,299 down payment and first month’s payment. No security deposit required. $31,220 Adjusted Capitalized Cost is based on down payment; Excludes tax, tag, registration, title and dealer fees of $599. Monthly payments do not include applicable taxes. Lessee pays the remainder of maintenance after ToyotaCare expires, excess wear and use, and $0.18 per mile over 12,000 miles per year. Lease payments total $13,644. Disposition Fee of $350 due at lease-end. May not be combined with certain other offers. Must take delivery between 04/02/19 and 04/30/19.